Pumpkin Fine Cars & Exotics is featuring a GREAT LIL' SPORT COUPE today, a 2004 Mercedes Benz C230 Kompressor. 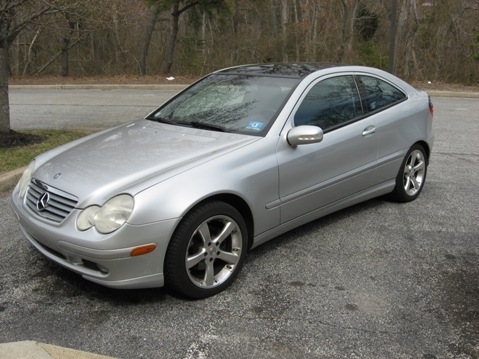 SPORTY & CLEAN, this pre-owned Benz is a Pumpkin Trade, FULLY SERVICED and WELL MAINTAINED. 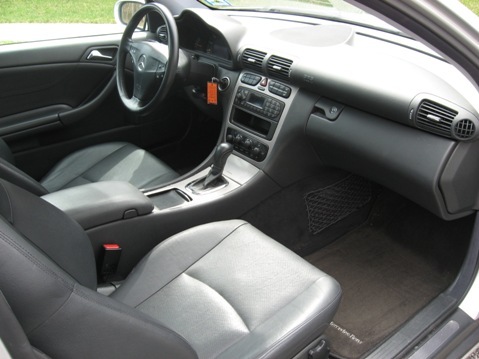 Priced at only $12,995, this vehicle has a PERFECT CARFAX HISTORY report. Brilliant Silver exterior on Black Leather color combo with full power options, 6-Disc CD Changer, Power Moon Roof, HEATED SEATS, Alloy Wheels and more! This vehicle is PUMPKIN CERTIFIED and backed by our Powertrain Warranty. Come in for a NO HASSLE test drive today! Call us at (609) 646-7676 or email us at [email protected] for more information. Visit us on the web at http://www.pumpkincars.com/ for a complete list of our pre-owned vehicles or .